Editor's Update 10/17/2014: The Ride The Wild Spinner Rack series appears in multiple posts, including, so far, Part 1, Part 2, and Part 3. Enjoy. Way back during the Silver Age, I was a pre-pubescent DC Comics fan: Carmine Infantino was a favorite artist, Gardner Fox was a favorite writer, and anything edited by Julius Schwartz was right about in my science-fiction possessed wheelhouse. There was a drug store about six blocks from my home where adults would get their fix from pharmaceuticals and I would get mine from the comic the book spinner rack. I would scan it and bring home Mystery in Space, Strange Adventures, Justice League of America and all the rest. I was hooked on DC and there didn’t seem to be anything else out there that mattered. My only other interest was music: what I played on the piano, movie musicals, and what I heard on the radio. Around this time I bought my first record, a 45 (look it up) by Dickey Lee, a teenage tragedy song called “Patches." That flows by the coal yards in old Shantytown. I swear I’ll always love you. It may not be right but I’ll join you tonight. Because of the song’s suicide theme, a lot of radio stations banned it, but that wasn’t the case in Sacramento. The song’s strong, dark and emotional message just took hold of me. I guess I was ready for some “experience” beyond the same old rehashed templates, whether in song or comics. DC’s comics were nothing at that time if not “same old” and “rehashed.” In the mini-mall close to my drugstore was a supermarket called Stop-n-Shop. The store didn’t normally sell comics, but an incredible sight greeted me on one of my visits: Out of nowhere, right there next to the cold cuts, was a grocery cart filled with comic books! Where did these come from? It was an eclectic mix of Disney, DC and other superhero stuff I’d never seen, including something called Fantastic Four. It was issue #3, supposedly from what the cover said, “The Greatest Comic Magazine in the World!” How could that be? I regularly bought what were the greatest comic magazines in the world, and this wasn’t one of them. Who were these goofy characters? Why wasn’t there a villain or monster on the cover? I decided to give it a shot. After all, twelve cents wasn’t that big of a risk. I took it home and read it as soon as I got there, while my dad was watching some horrible country and western music on television. George Jones was singing his current big hit. For some reason, I found myself drawn to the song as I was reading the comic. It became a bizarre background music for the storyline. At that time I despised country AND western music, or anything in between, but this one seemed somehow different. How was it possible I might actually enjoy a country music song? Little did I know that “Patches”’ Dickie Lee had written the song or that my musical tastes were in for some major shake-ups in the years just ahead. 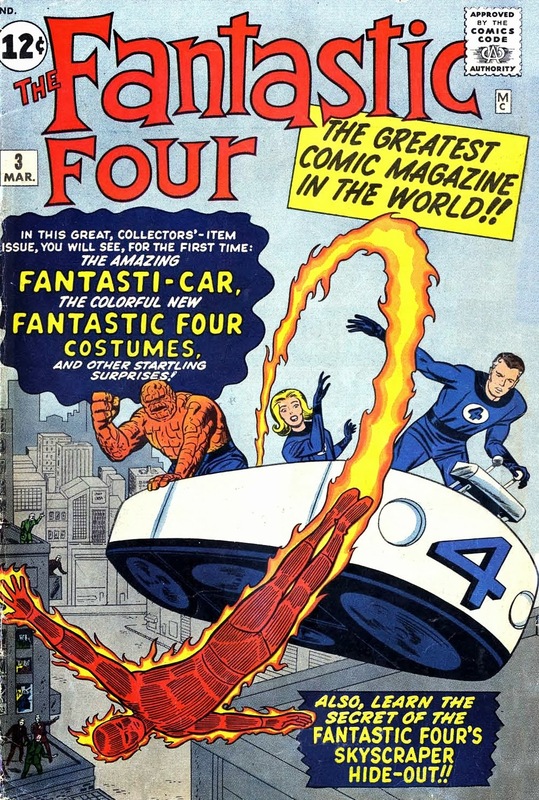 As were my comic book tastes, the minute I finished that copy of Fantastic Four. The Empire's podcast strikes back!